Made from nylon, for durability and longevity. 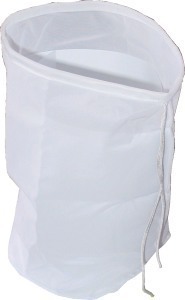 Includes drawstring to secure the top, either closed or around the rim of a container. Approximate Dimensions: 6 inch (15cm) square base with 22 inch (55cm) circumference at top. 12 inch (30cm) height.